No one really needs to fear Wolfi, as long he’s well-fed! But when his belly starts to rumble, he eats up everything he can find. 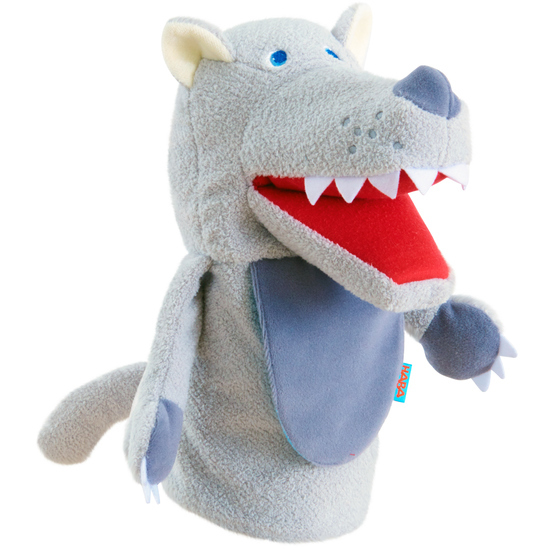 ‘Food’ comes into Wolfi’s belly bag, equipped with a loop and hook attachment, so children take the food out again. Food is not included.